I have noticed on other artist blogs that they too, only write every 2-3 years! Ha, its an arteest thang. But I’ve been talking to you all in my head so am putting my thoughts down on paper. Color. I love color! My mom was a talented professional seamstress and I spent hours following her through fabric stores, feeling the fabric and discussing color. From these trips I learned color theory, how to mix colors, what colors to put together. It was a PhD in color-ology. Fat lot of good it did me. I became a metalsmith where I deal most in shades of grey, with some occasional yellow gold thrown in. Yeah, yeah, I know stones are colored but Ma Nature gets to play with coloring them, I only get to use what colors she decides on. 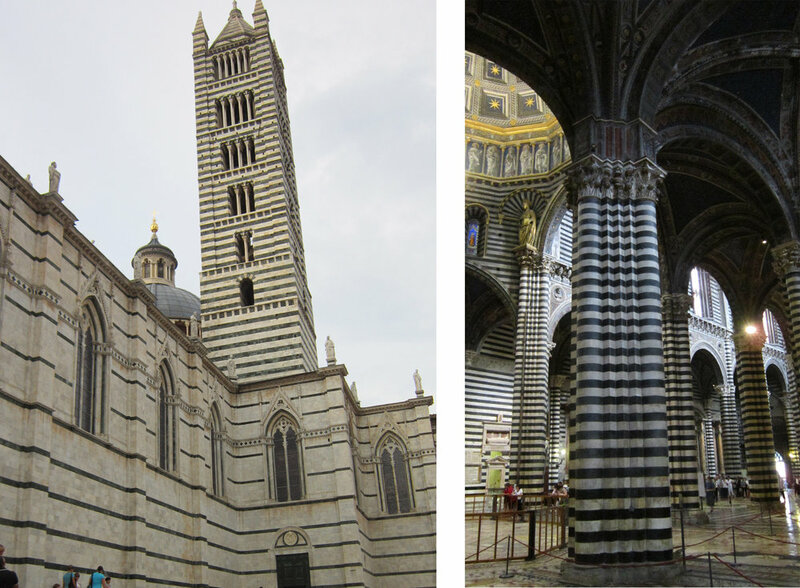 Then I fell in love with stripes, thanks to a Duomo in Siena, Italy. And I decided to add wood to my repertoire to allow my designs more freedom and happily tapped into skills my father taught me when I pestered him in his wood shop. Then a 3-colored art quilt popped off an internet page. It had ochre stripes. Wow! I wanted to add ochre to my stripes. And while I was at it, lime green --- redubbed Lichen Green for the green lichen that grows around my studio. Mom! I’m back to color! This lead to a intensive internet search (how I love Google) for the best way to dye wood that is permanent, non-toxic, and gives me control of the mixing the color. And it's the mixing of the colors I love best. The learning curve was steep, required expensive materials, equipment, and travel, but it's worth all the time and money. What you will soon see at shows and in my Shop are my stripes in new colors. I have been drawn to the colors of the high desert that I live in. Please be patient as I get all these things pulled together. If you look at my side bar over there to the right >>>>> you will notice that I am in the midst of my busy summer. And please email with any questions or thoughts you might have.